the apocryphal story of the reverend returning from a long day in the ministrations of the church and his parish, slumping into his fireside armchair and being brought his slippers by one of his faithful bassett hounds, does have its basis in fact. one of my schoolfriends was indeed, the son of a presbyterian minister, a chum with whom i played rugby at school and at weekends on a makeshift pitch adjacent to the town's indoor bowling rink. and, believe it or not, the family owned two bassett hounds, one of whom was named 'homer', but sadly i have no recall as to the name of the other. and just in case you're wondering, yes, i did get battered silly at rugby. at the end of the hypothetical long day, the minister left the solitude of his study, plopped himself in the sitting room and one of the two dogs would trot in, carrying at least a solitary slipper. mrs washingmachinepost and i do not own any animals, let alone a bassett hound or two, but it would be false of me to deny that i do own a pair of favourite slippers, the moccasin-like format of which enables me to creep upstairs late of an evening without wakening the mrs and admitting that i'd fallen asleep on the couch. obviously enough, doing so is entirely as a result of having over-extended myself on the bicycle earlier in the day, lest you concern yourself that age may be getting the better of me. 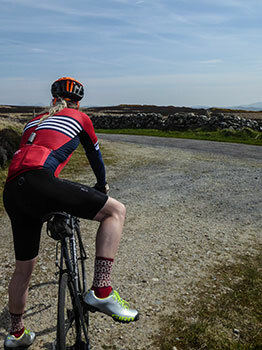 but it's not just that i have a favoured pair of slippers, but like many other bicyclists, i have certain jerseys that i prefer over others, either for sentimental reasons, colour, or simply that i like wearing them. same goes for jackets, though oddly enough, i don't have what i'd call a favourite pair of shorts, nor a pair of lucky socks. 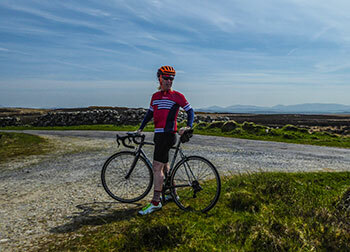 however, i have extreme good fortune on my side, frequently receiving review samples of a wide range of cycle jerseys and jackets about which i will eventually wax lyrical. sort of like the current situation, now that you come to mention it. 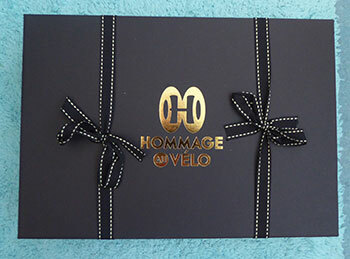 this may seem like a case of deja-vu, having only just made mention of the newly conceived hommage au velo at the end of last week, yet here we are once again. though, in the words of the former ceo of bruichladdich distillery "it's my ****ing blog and i'll ****ing write what i want", i do prefer not to overload my reader with more of the same thing in close proximity to the original thing. if you see what i mean? 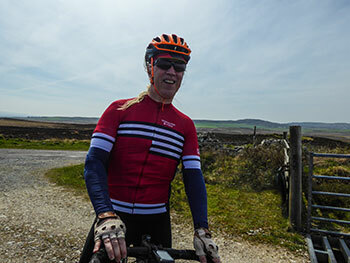 however, founder of what shall hereafter be referred to as hav (except when it isn't), david law, was kind enough to send a review sample of currently the only jersey (of which i'm aware) to proffer a portion of its revenue to world bicycle relief. though i have already advised you of their presence in what must be a market close to saturation point, this selfless dispensation of profits, surely makes it a jersey worth looking at. fabricated from a mixture of elastane and polyester, their description of the jersey as lightweight is pretty darned accurate. arriving in a gold debossed black box, the lid of which is held in place with two gold and black ribbons, the notion that you're getting your (£85) money's worth is hard to avoid. the laser cut sleeves are underpinned by mesh panels, aiding a cool demeanour when the mercury rises, and feature an incredibly tacky gloop inside the cuffs that made it an encouragingly hard effort to wear. those sleeves moved not a millimetre in the heat of battle. the full length zip ends in the customary zip garage at the medium height collar, while the hem of the front panels is more elastic than polyester, preventing any bunching in the sprint. the three rear pockets are more than capacious, neatly augmented by a fourth zipped edition for coffee money, keys, or whatever other guff you tend to carry in the peloton. though the bahamontes name gives some hint as to its sporting pretensions, in fact, the jersey does encapsulate the race-fit epithet with aplomb, feeling a deal more comfortable in the drops than standing in front of the bathroom mirror. 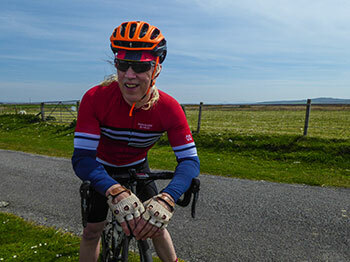 the hommage au velo, bahamontes lightweight climbing, short-sleeve jersey, is available in sizes ranging from xs to xxl in red, black, navy or white at a retail cost of £85. as mentioned above, a portion of the profits from each jersey is donated to world bicycle relief.